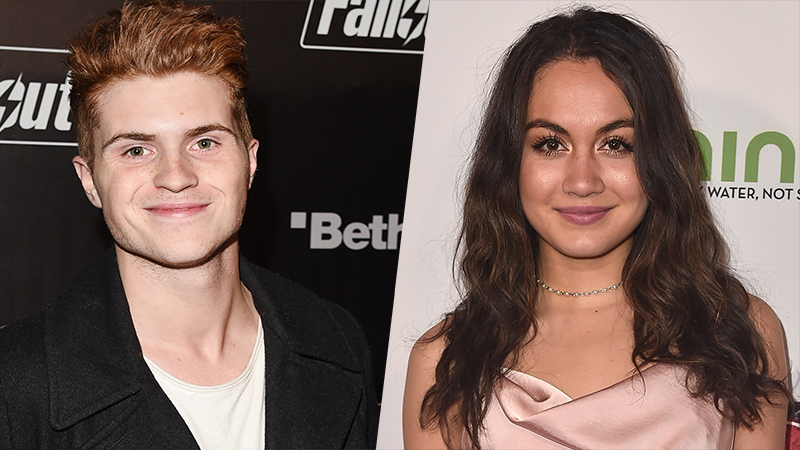 Deadline brings word that Jake Austin Walker (Rectify) and Meg DeLacy (The Fosters) have joined Stargirl, the upcoming series on the DC Universe digital subscription service. DeLacy, who has previously starred in The Fosters, Zac and Mia, and The Disappearing Girl, will play Cindy Burman. Walker, known for starring in Rectify, Five Points, and Fear the Walking Dead, will play a still-undisclosed role. The series’ also stars Brec Bassinger as the titular heroine, Anjelika Washington (Shameless, Young Sheldon), Giancarlo Esposito (Breaking Bad, Better Call Saul), Joel McHale (Community) as Starman, Lou Ferrigno Jr. (S.W.A.T.) as Rex Tyler/Hourman, Brian Stapf as Wildcat, Luke Wilson (Charlie’s Angels), as Pat Dugan, Henry Thomas as Dr. Mid-Nite, Joy Osmanski (The Santa Clarita Diet) as Tigress, Neil Hopkins (Matador) as Sportsmaster, and Nelson Lee (Mulan) as Dragon King. Stargirl will follow the story of Courtney Whitmore (Bassinger) who is a smart, athletic and above all else kind girl. This high school teenager’s seemingly perfect life hits a major speedbump when her mother gets married and her new family moves from Los Angeles, California to Blue Valley, Nebraska. Struggling to adapt to a new school, make new friends and deal with a new step-family, Courtney discovers her step-father has a secret; he used to be the sidekick to a superhero. “Borrowing” the long-lost hero’s cosmic staff, Courtney becomes the unlikely inspiration for an entirely new generation of superheroes. Stargirl joins an increasing roster of new DC-based shows that will be available to the DC Universe service including Titans, the live-action TV series based on the teenage heroes; Young Justice: Outsiders, the long-awaited continuation of the fan-favorite animated series; Harley Quinn, an all-new animated series starring the villain turned anti-hero; Doom Patrol, a spin-off of the Titans series starring the weirdest group of heroes; and Swamp Thing, an all-new live-action series based on the fan-favorite character.